Image courtesy of Wikimedia under creative commons license. Premier Technical Services Group PLC (PTSG) was delighted to receive feedback on its recent winning bid at the PFM Awards Partners in Corporate (Private Sector category), underlining its high levels of innovation and partnership working. 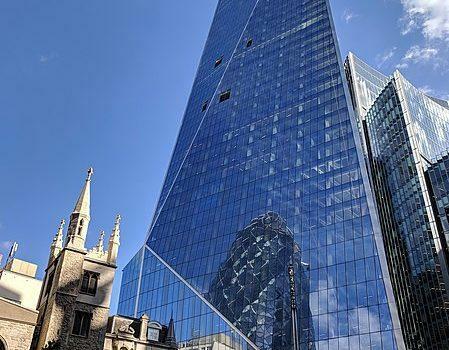 “A unique design and installation of two complex BMUs and intricate moving roofs to house them in the new, high-profile commercial London skyscraper. The solution designed and installed at The Scalpel reaches a whole new level – a clear exemplar of innovative good partnership practice. PTSG gives special thanks to its London-based cradles installation specialist, Integral Cradles, which was contracted by long-term partner Skanska to provide the bespoke access solution for The Scalpel.